Key looks #1 Utility jacket and the Orignal BIB pants. The Utility Jacket is made with two different heavy duty fabrics in the same shade and offers a monochromatic colour block. The oversized pouch chest pocket is what defines the look of this jacket. The original BIB pants in Camo print completes this look well. Key look #2 Textured Jacket with the Utility Pants. Textured jacket with a hand made camo print based on the Californian mountain skyline and the organic shapes of the trees and the clouds: this year nr #1colorway: light/white based: with black meta luxe zippers. The Utility pants is the pants version of the Utility jacket. Same fabric blocking and (of course) pouch pockets on the front of the leg. Key look #3 GTX Parka Jacket. If you are heading to colder destinations. Grab our GTX Parka Jacket. This jacket is made from a sturdy Gore-tex twill material and filled with Primaloft Gold luxury insulation. Large Waterproof Zippers (inspired by the O’Neill wetsuit zippers) give this jacket a look that makes you stand out from the crowd. A collection that celebrates O’Neill heritage. Styles from the past that have been constructed with today’s technologies. Key look #1 Original Anorak. Blast from the past, designed in a boxier oversized fit. Fluo colours in that iconic o’neill colour block. Original logo’s. Fabrics is not so old school, 10k/10k stretch Repreve material made from recycled bottles. Recco avalanche safety, no insulation but with soft brushed lining. Besides the jacket, there are plenty of items in the snow and lifestyle collection that merchandise well within the O’RIGINALS concept. Key look #1 Gore-Tex Psycho Tech 3L Jacket. An Anorak that is designed for freeriding, iconic O’Neill Fluo colours that are not only looking good, but also supports with visibility in the backcountry. The 3L Gore-Tex material is made from recycled polyester, as well with PFC free DWR like the rest of all our outerwear. The Anorak fitting is a bit longer and is ideal when wearing a backpack, can still access the horizontal front pockets easily. 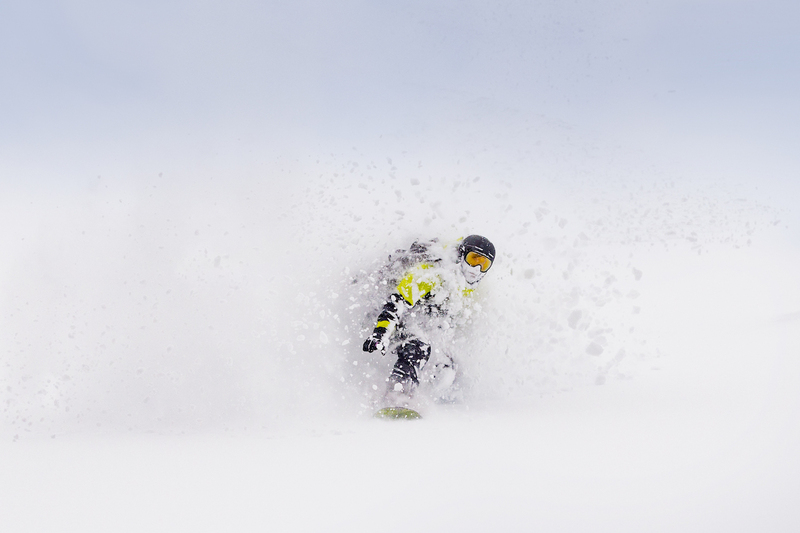 Rider tested and proven by snowboarders like Jeremy Jones and skiers Paddy Graham. When you get gold on the mountain, make sure you packed the STUFFY INSULATOR with you. This packable insulator jacket is filled with PrimaLoft gold luxe to keep you warm and its baffles are stitchless. Therefore you don’t lose the fill and water cannot leak through the baffels. The Insulator comes in black with a reflective camo all over print. Stealthy during the day, but helpful when you want to be seen. The GTX Psycho Teck 3L Anorak Jacket can be best combined with the GTX 3L bib pants or with the GTX 2L MTN madness pants. Prices have not changed although we have heavily invested in branded materials (Gore-tex, PrimaLoft, reprieve) and sustainability. An increase of recycled fibres in the collection. Total of 33% of the total FW O’Neill collection is made with sustainable fibres. In outerwear, we are working closely with Repreve for recycled polyester. Repreve is one of our O’NEILL BLUE sustainable partners. 1. SNOW-CITY: most versatile snown collection.